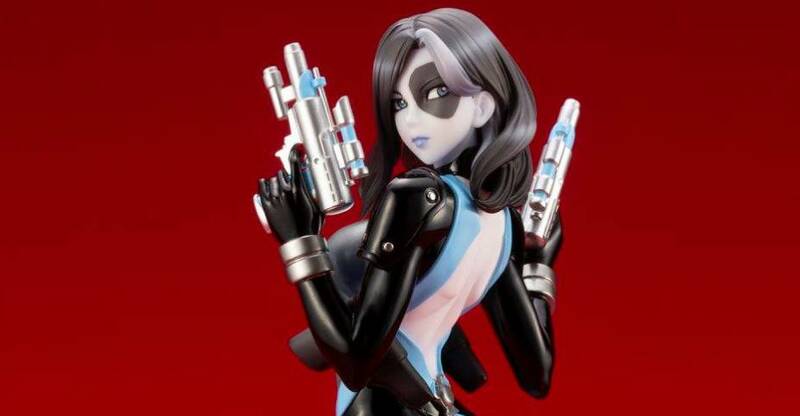 Kotobukiya has released official photos and details for the upcoming Marvel Comics – Domino Bishoujo Statue. 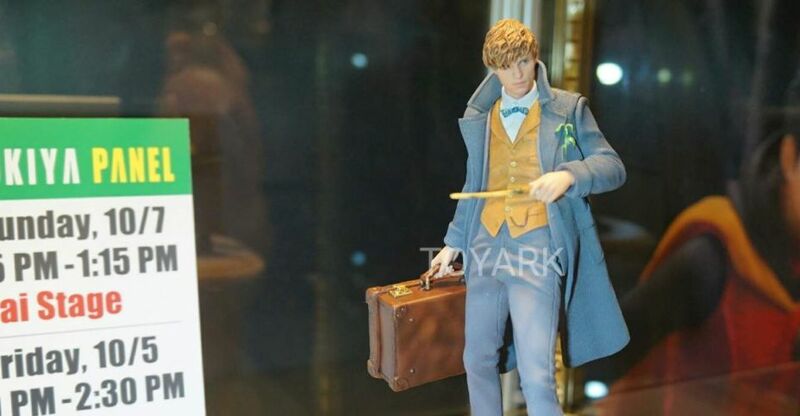 The 1/7 scale statue stands roughly 9″ tall. 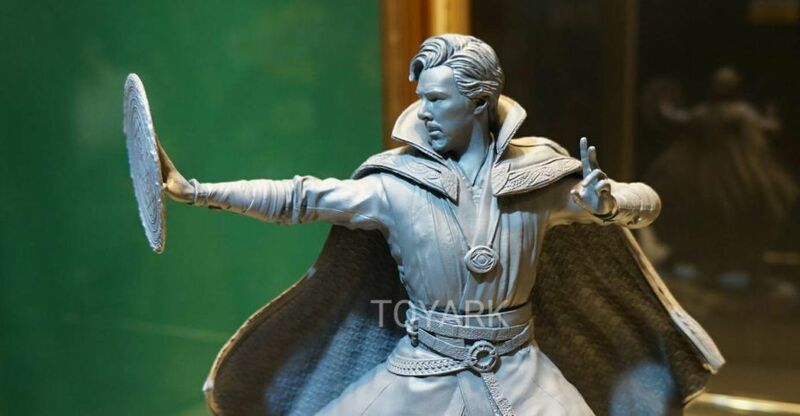 The statue includes a themed base, and a mini Deadpool doll for the display. 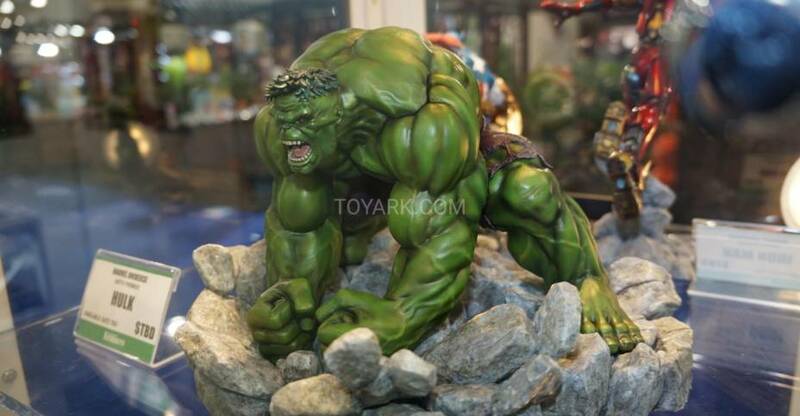 The statue is priced at $99.99, with some online stores offering their own discounts. Domino is set for release in September. You can see the new photos after the jump. Domino’s elaborate suit is painted with a combination of metallic, pearlescent, and glossy paints, giving it a bold and eye-catching appearance. The sharpshooting mercenary wields her beloved dual pistols, looking over her shoulder with a cool, composed expression. From Shunya Yamashita’s original concept art to the fine-tuned sculpt and paint job, this detail packed figure fully embodies Domino’s appeal and personality. The statue comes with a miniature doll of Domino’s X-FORCE teammate Deadpool for you to display in the place of your choosing. Take a chance and add this lucky girl (and her unlucky companion Deadpool) to your collection– you won’t regret it! 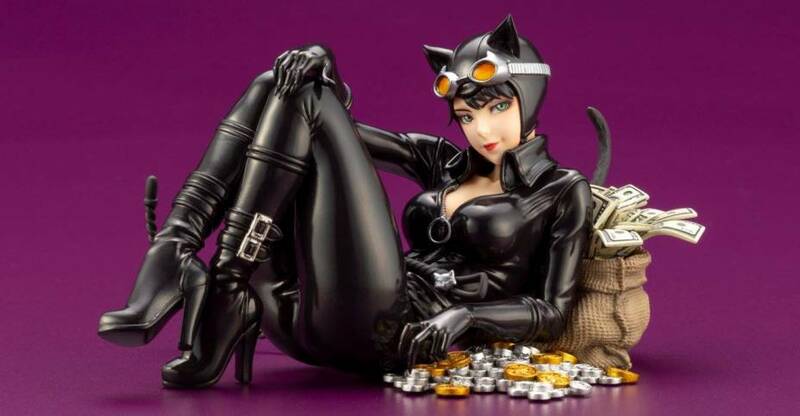 In here, we have a mix of the remaining items on display by Kotobukiya at Toy Fair 2019. These include their My Little Pony Bishoujo, their numerous anime items, a few GI Joe Bishoujo items, their Fantastic Beasts statues, and more. More Kotobukiya catch up. 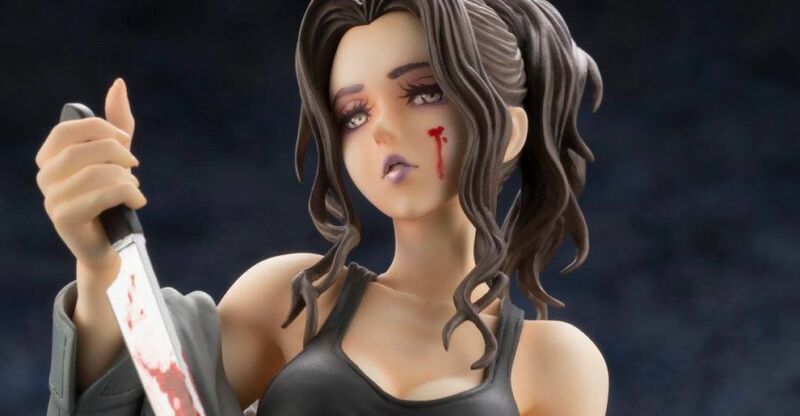 Last week, they announced two new Street Fighter Bishoujo 1/7 Scale Statues. 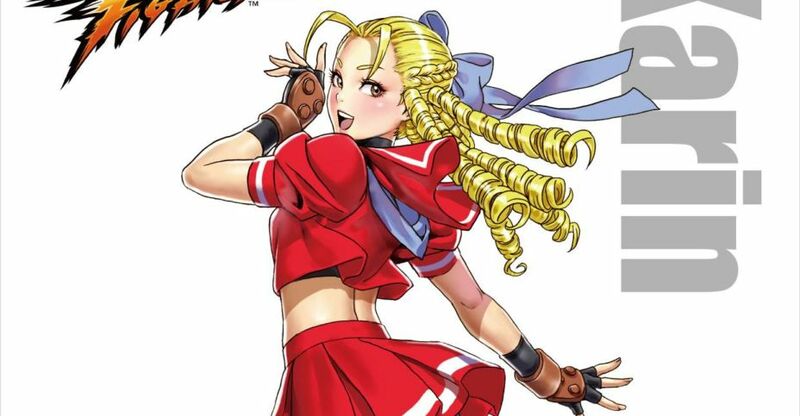 They released the concept illustration for the Karin Statue by Shunya Yamashita. They also shared a silhouette of the art for a new Sakura Statue. Look for further details on these in the coming months. We’ll update when we have more news to share on them. Here’s a round up of everything else we shot at the Kotobukiya display from New York Comic-Con 2018. 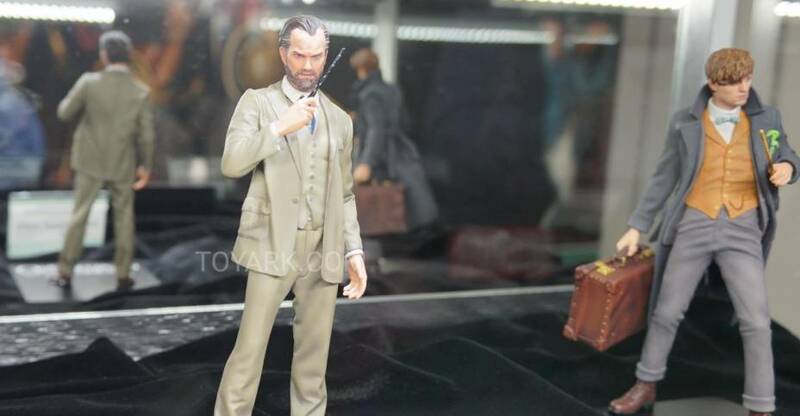 In this gallery, you can find their new statues from Fantastic Beasts, Horror, and Video Games.